The University of Sydney launched the FoodLab Sydney project, led by the Sydney Environment Institute, applying food security research to support local food entrepreneurs and residents of the City of Sydney. 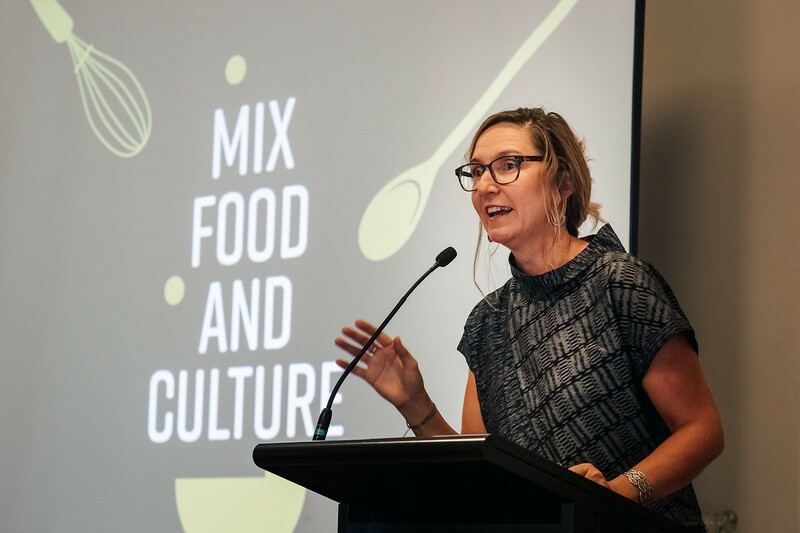 FoodLab Sydney, an innovative project aimed at creating a vibrant network of small food businesses through training and employment, launched at Redfern Town Hall on Friday 1 February. Led by the University of Sydney’s Sydney Environment Institute, in collaboration with the City of Sydney, UNSW Canberra, TAFE NSW and FoodLab Detroit in the US, the program centres on a custom-designed training course that will support residents with ideas for food businesses or social enterprises. “Our vision is to increase everyone’s access to healthy and affordable food by enabling all residents to dictate the terms of their inclusion in our rapidly growing city through voice and participation,” said Dr Alana Mann from the Sydney Environment Institute and Chair of the Department of Media and Communications. FoodLab Sydney will be led by Dr Mann together with Professor David Schlosberg, Director of the Sydney Environment Institute, and Dr Luke Craven from UNSW Canberra. The lab enables participants to learn from business mentors and thought leaders, while accessing kitchen spaces and retail opportunities to provide vital support for those who want to develop their own local food enterprises. Approximately 17,000 residents in the City of Sydney are food insecure with unreliable access to affordable and nutritious food, according to the 2018 Wellbeing Survey. The City of Sydney has embraced the project as an innovative way of providing both employment pathways for Sydney residents and economic stimulus in local communities. 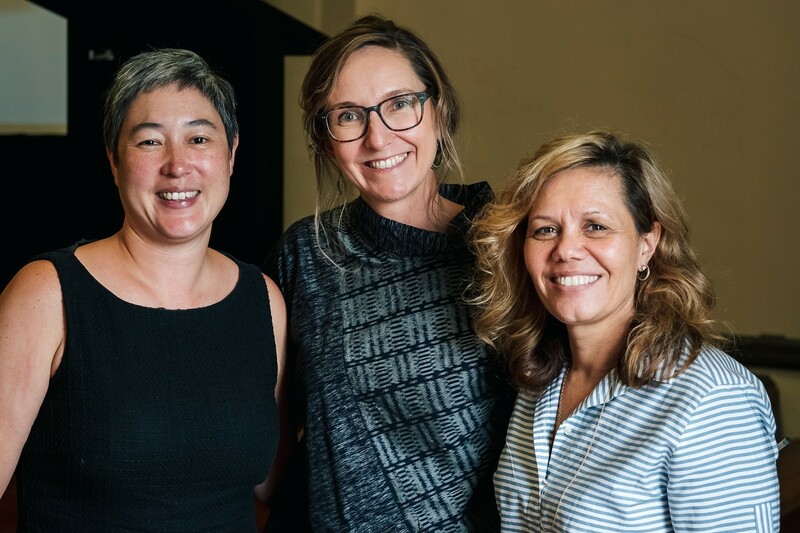 Jenny Leong, NSW Member for Newtown, Dr Alana Mann and Yvonne Weldon, Chairperson of Metropolitan Local Aboriginal Land Council, at the FoodLab Sydney launch. Lord Mayor Clover Moore said the City of Sydney is proud to support the launch of the lab through a $120,000 knowledge exchange grant over three years. “Our knowledge exchange and grants programs help our community find innovative ways to solve the problems all cities face,” the Lord Mayor said. Like the highly successful FoodLab Detroit model, the Sydney version focuses on providing people with the opportunities to gain skills, employment and empowerment through food. 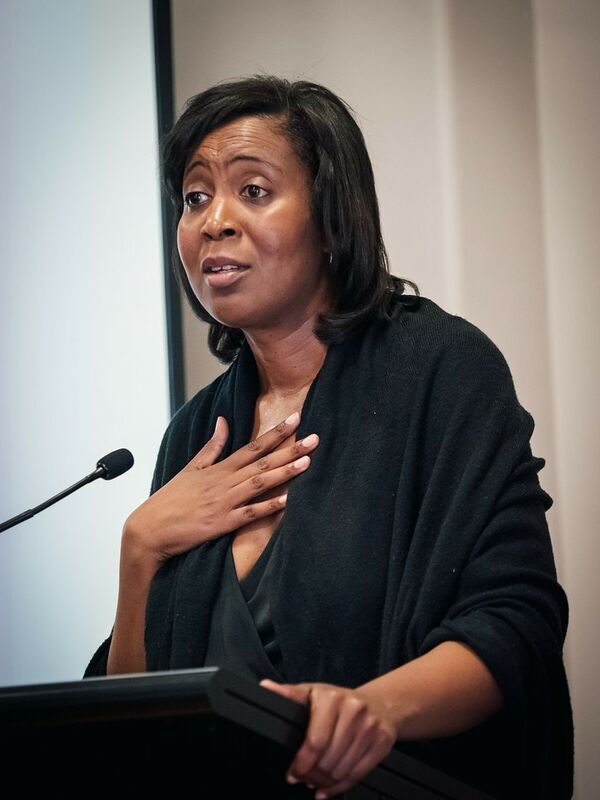 “For us, food’s more than just food – it’s a tangible, joyful, creative way to promote healthier, just, resilient communities,” said Executive Director of FoodLab Detroit Devita Davison at the launch. “There are extraordinary things happening on campus but how do we ensure that our research is getting out into the world and making a difference?” asked Professor Duncan Ivison, Deputy Vice-Chancellor (Research). The long-term goals of the program, which is supported by the Australian Research Council, extend to addressing the complex causes of food insecurity. Join the crowdfunding initiative for FoodLab Sydney.